On the exterior, Citroen has updated the look of the car with sleek lines, new lights and brushing chrome features creating a more 3D-effect. The goal is to enhance the uniqueness of the C4 and preserve Citroen’s brand as instantly recognisable. Chrome finished modules shine brightly to show the finer details of the bodywork. The interior hosts a range of features for an ultimately comfortable ride. An uncluttered dashboard is home to a new 7-inch Touch Screen with built-in satnav. Comfortable seats provide you with premium comfort and support as you travel over bumps and ruts with ease. Practicality is a first for the Citroen C4, it drives around town effortlessly and the responsive ultra-light steering makes parking a pleasure. The versatile boot space can support 408-litres along with foldable rear seats to take care of your entire luggage stress-free. The major improvements are revealed in the drive-train. The Citroen C4’s predecessor hosted a thirsty 1.6-litre petrol engine with a four-speed automatic gearbox. This has been replaced by an ultra-smooth 1.3-litre three-cylinder turbo engine combined with a six-speed automatic transmission. Engine noise is hardly noticeable unless you put your foot flat to the floor, you will find driving around urban areas enjoyable. Long journeys are no longer a concern with the C4’s perky engine and fluid gear-changes you will reach your destination. 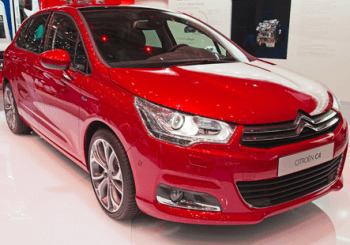 All these luxury features compliment Citroen’s C4 package into the top-end hatchback market. To find out more information about this fantastic car, visit Howards Citroen Taunton or Weston-super-Mare.